Until July 2015, Graeme was the Chairman of Motorola Solutions UK Ltd, the Country Manager for Motorola Solutions UK, and the Government Affairs lead and regional director for Europe and Africa. Graeme is now building a small portfolio of non-executive positions and has recently been appointed a non-executive director of the Smith Institute which specialises in industrial mathematics and system engineering. Graeme has been active in supporting the telecommunications industry for many years and served on the techUK board, the Electronic Systems Council, the CBI's president's committee and co-chaired the CEO Group of the Parliamentary ICT forum. Joining Motorola in 1994, he has held a number of leadership positions including roles in product management, sales, project management and operations. His role as Chairman focused on building relationships with key Government bodies, ensuring appropriate country and fiducial management and enabling business opportunities across the region. Before joining Motorola, he was the Managing Director of Ascom Radiocom Ltd, a mobile communication systems company for UK public utilities and emergency services, having previously been a Divisional Manager at Marconi Communications Systems Ltd.
Graeme is a fellow of both the Royal Academy of Engineering and the Institution of Engineering Technology. 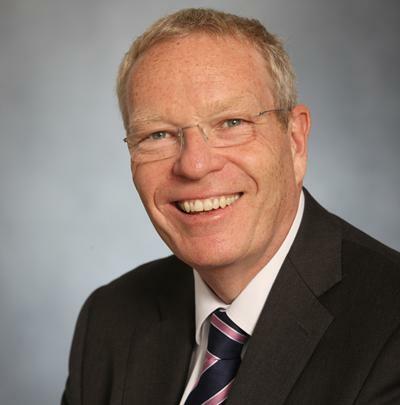 He is trustee of the Institution of Engineering Technology, and was recently elected as a lay member of Council and Chair of the Audit Committee at the University of Southampton. Graeme is also a visiting professor at the University of Bristol, and is keen on promoting Engineering to young people most notably via the Royal Academy's Engineering Leadership Advanced Award scheme.